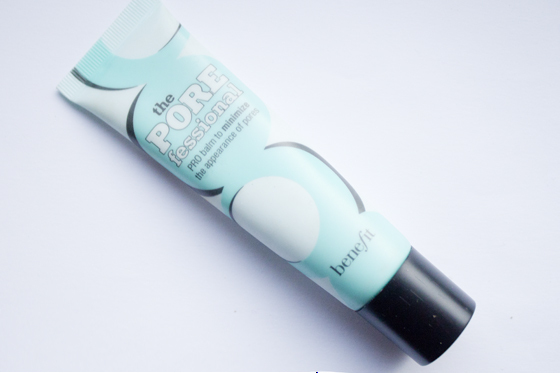 Benefit The POREfessional is described as a "pro balm to minimize the appearance of pores". It's a flesh-toned silky, oil-free and completely lightweight makeup primer. 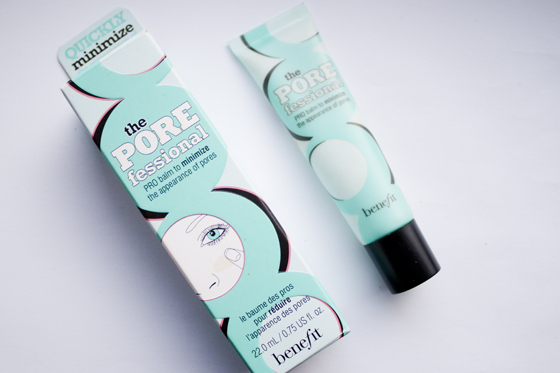 The POREfessional works really well at mattifying the skin without it looking dry or ashy. My skin just looks very matte and natural and also does nice job of evening out my skin tone before applying foundation. I don't think my pores vanish but I do think they look alot less noticeable. It makes a really good base for make-up, I love blending my foundation over it as its just so smooth! My make up lasts me a fair amount of time before I get a bit oily on my t-zone (my major problem areas, so I expect it) but I find the make up on my cheeks still stays put and no signs of pores coming through. It does say you can apply it over your make-up but I personally don't think this works too well, I like my make-up powdered and matte and applying a balm over it just makes it look a touch messy, so I wouldn't recommend trying it like that. When I started using this I wasn't wowed buy it, Initially I thought of it as "just another primer". I then stopped using it for a bit and really noticed how different my skin did look when I used it. I do think its a really good product and I'll more than likely buy it again, after all I did include it in my top face products of 2011. The price is really high, like alot of Benefit products I think its a touch over priced. Id say £15-£18 would have been more appropriate. However knowing me this will become an expensive addiction! I received a deluxe sample of this with some kind of purchase I made, and like you I didn't find it that "great" when I first put it on, but after using it a couple days in a row and then not using it I definitely saw a difference in the way my foundation looked! Great post lily! 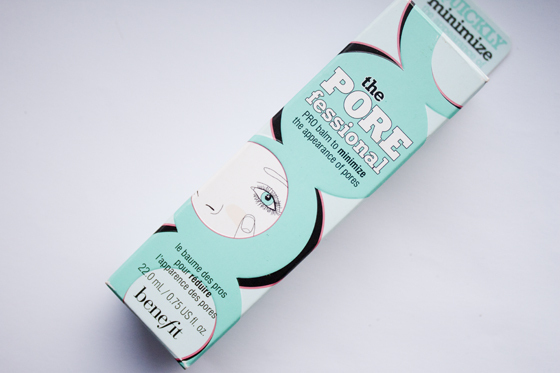 I love porefessional, I had a mini tube and it lasted really well! This is one of my favourite products. I love Benefit cosmetics - I think if you can look past the kitsch packaging the products always do their job brilliantly! Hmmm think I might have to give this a go! Great review. My skin is screaming out for some pore minimising at the minute, noticing them more and more everyday. I know it's expensive but I do think my make up bag is in need of this! With the promotion benefit are doing with diet coke at the minute (£5 off a benefit purchase that's over £20 on their website) might have to invest or if you need some more now might be a good time to stock up as it'll be 18.50! interesting. this isn't particularly a product i need, since this isn't one of m problem areas. there are other things i need more, like a good high lighter and something to fill in my eyebrows, but for both of these two things i use benefit, so it is great to hear that other benefit products are worth the buy as well. i personally find benefit such a superb brand. i haven't been disappointed with anything from them. Defo gonna buy this when I'm in NYC, as Benefit is so much cheaper out there! have never tried this, is it worth me splashing out? 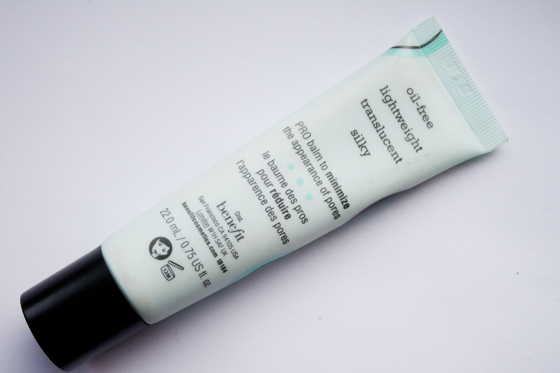 I bought a Rimmel primer yesterday and its actually pretty good, I just reviewed it today! I've been looking a new primer as my current one sometimes feels a little slippy, as if my make-up isn't sitting properly. Tempted to try this when I get paid as I always feel like my pores are really noticeable, hope it helps to hide them! I got this a few weeks ago & used it once. I wasn't blown away with it, so I haven't bothered since. I think I'll give it another try now though! I've recently become addicted to this product! i got a few samples off ebay to try first for a few pounds then found a seller who sells the full size for just £8 with free P+P so I purchased that straight away as I knew I definitely wanted to get it full sized after using it for just a few days.